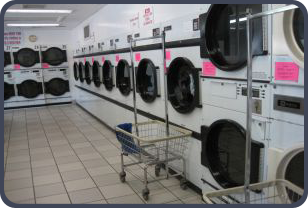 We have a very special coin laundry because of the cleanliness of the facility. Good lighting is found in every corner, and the floor is sparkling clean. The laundry is bright and shiny with all the walls painted white. 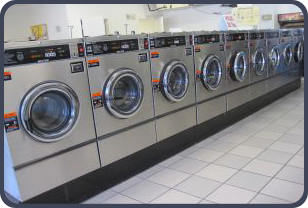 We have had many people tell us that it is the cleanest laundry they have ever seen. An attendant is on duty to answer your questions and to help you carry your clothes in and out if you need help. We also provide Wash, Dry and Fold for your convenience. 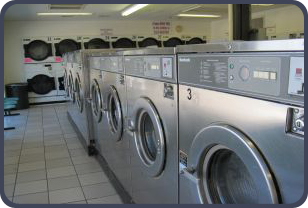 You can save your valuable time when you wash with us. 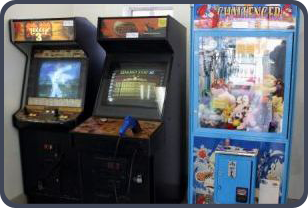 The laundry is located at the intersection of Jones Franklin, Hillsborough, and Western Blvd. 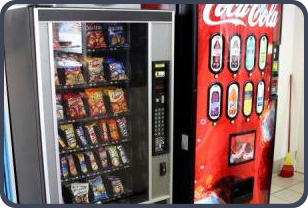 It is near the Harris Teeter Shopping Center on Jones Franklin and about ½ mile from the 440 Belt line. 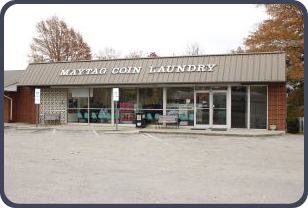 ©2019 | Maytag Coin Laundry of Raleigh, LLC | 15 Jones Franklin Road, Raleigh, NC | All rights reserved.